Kurt Busch's move to Phoenix Racing to get back to "old-school" and fun racing didn't do much for his public standing according to Forbes. For the second year in a row, Busch made the publication's list of the top 10 most disliked athletes. After coming in at No. 10 last year, Busch was No. 8 this season, behind Michael Vick and ahead of Kobe Bryant. In 2012, Busch was suspended for the season's first race at Pocono after threatening a reporter after a Nationwide Series race at Dover when Busch was asked about racing against Justin Allgaier. That incident was preceded by a fracas in May after the Southern 500 at Darlington when Ryan Newman's crew was unhappy with Busch's driving on pit road after a late race caution. 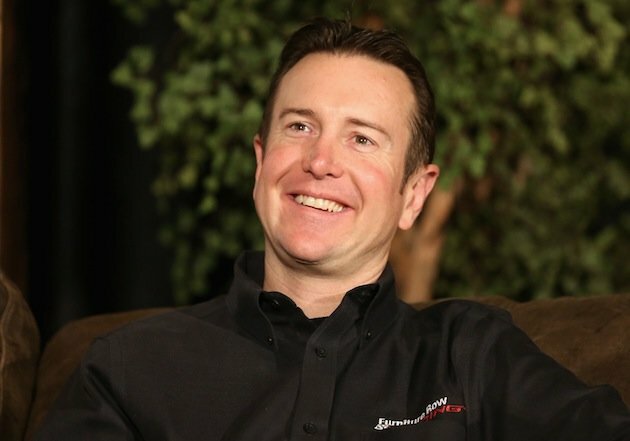 In September, the 2004 champion announced that he would be driving for Furniture Row Racing in 2013 and made the move to the team for the final six races of 2012. In his final race for Phoenix Racing, he drove away after getting spun out with safety officials near his car and an equipment bag on top of it and said that he couldn't hear NASCAR officials' calls for him to stop because he had his helmet off. There was a tie atop the Forbes list between Lance Armstrong and Manti Te'o. Armstrong's place at the top after his doping admission is understandable. Te'o's is less so. Many people must be skeptical of Te'o's story that he was completely hoaxed by Roniah Tuiasosopo who was posing as Te'o's girlfriend, Lennay Kekua. Or they don't have much sympathy.